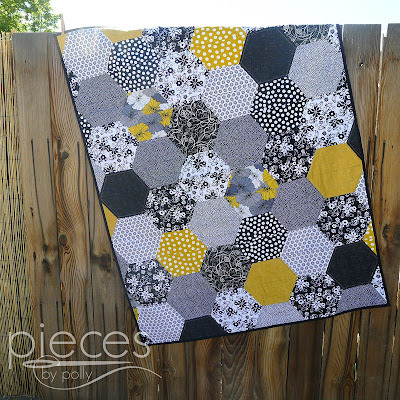 Val's Quilting Studio : Hexies by Halves Quilt Along! I love everything Hexagons and was looking for a fun, easy summer project and found this while exploring the blog world this morning! I've included a button for easy access to Polly's blog. I hope ya join me. #1 on my "To Do" list today: Go through my black and white fabric and start setting them aside! I've been collecting black and whites for a couple of years and can't wait to start using them.